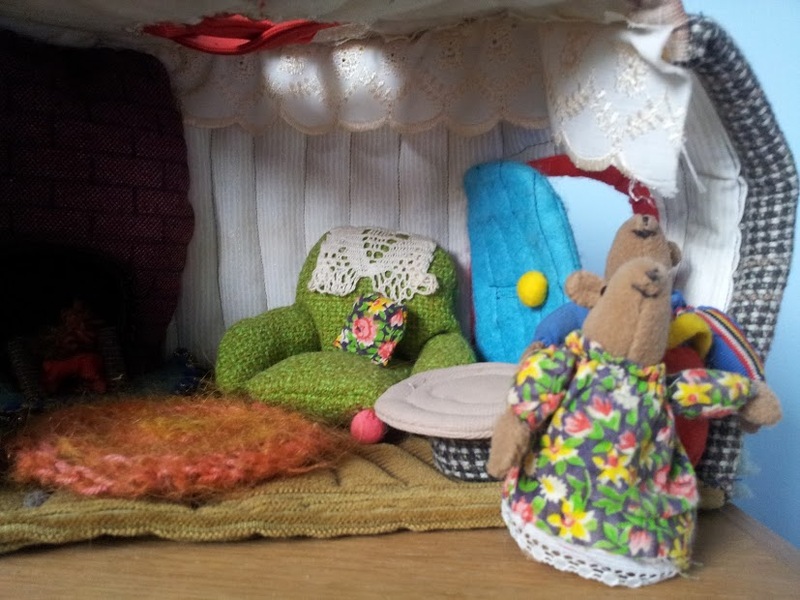 This fabric Mouse House sits in an upstairs bedroom at my Mother in Law’s house. She made it over 20 years ago and all the grand children have loved it. I have often said I would love to make a crochet version, but time and inspiration never seemed to allow the opportunity to sit down and really think about doing it justice. I have seen lots of versions on Pinterest, but none really appealed. They didn’t seem to have the cute, cottagy charm of Jean Greenhowe’s original. 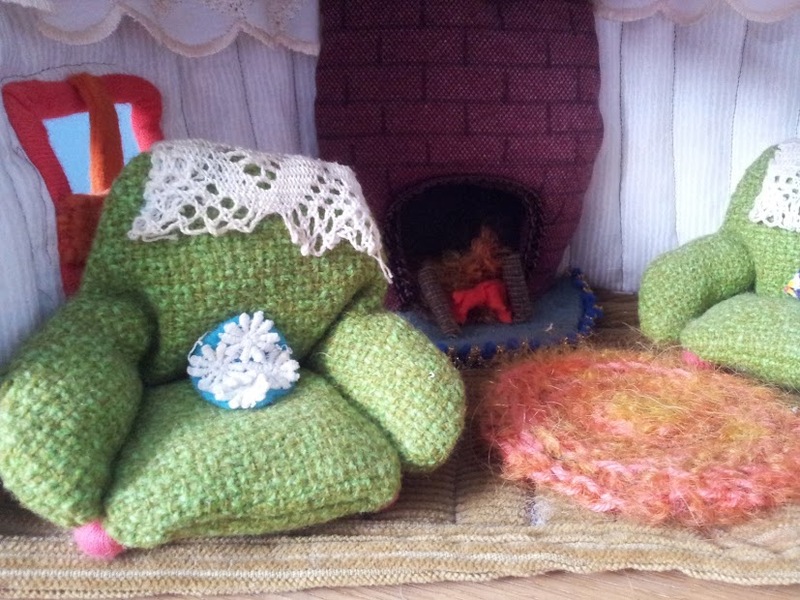 I have searched online for inspiration, thinking how nice it would be to sit and follow someone else’s pattern, but there are very few examples on Pinterest or Ravelry (there are some gorgeous crochet toadstool houses, which are lovely, but not really what I’m looking for. I have seen this one (and versions of it) on Not on the High St and I like the idea of a “proper house”, but what seems to be coming off my hook is something a bit different, a bit quirkier. 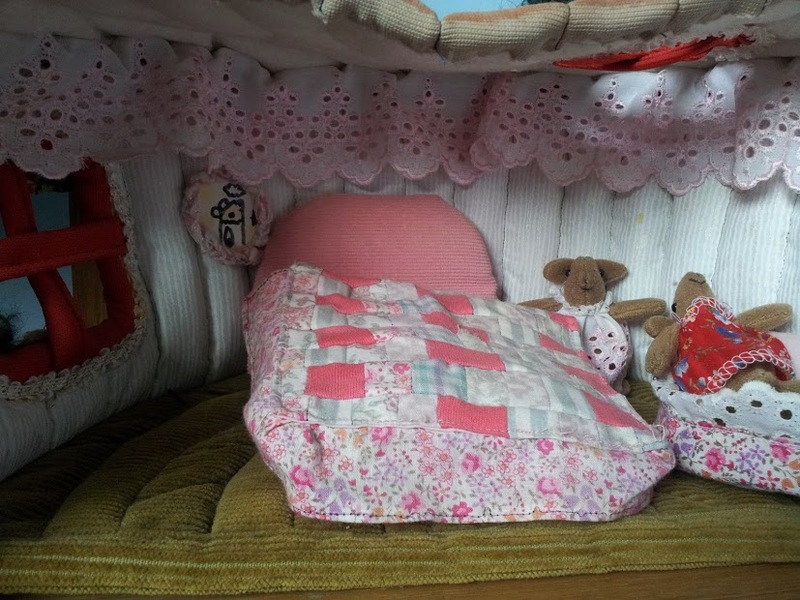 It would be very easy to translate this traditional doll’s house into crochet. Meanwhile I have been sitting with my notebook and sketching little ideas, so that as I finish up work on the book and magazine commissions slow down for the summer, I can give some time to personal projects such as this. I’m not making it with the intention of writing up the pattern or as a gift for anyone in particular. It’s just a whimsical idea and I’ll keep you informed of progress. Over on my Pinterest board “Crochet Inspiration” I’ve been pinning ideas which may find their way into the “Modern Mouse House”, do pop over and take a look (you may even find something to inspire your next project. 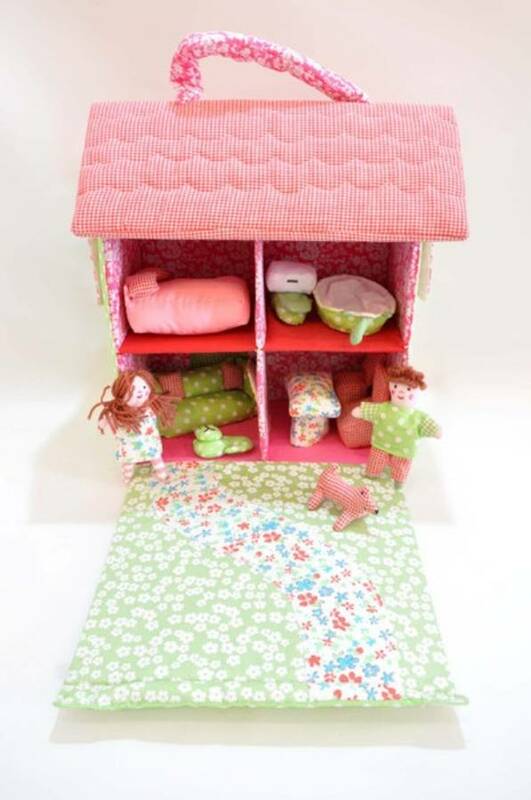 If I were to try and recreate a sewn toy house, I would definitely be looking at this on from UK Lass in US – the instructions look so easy to follow and the end result is beautiful. The idea of using plastic canvas for extra strength is brilliant – I may try that with mine. In fact, if I could sew as well as I crochet, I would just make this. I doubt it can be beaten for creativity. PS: Jean Greenhowe’s pattern is sadly out of print, but you can read about the original design here. 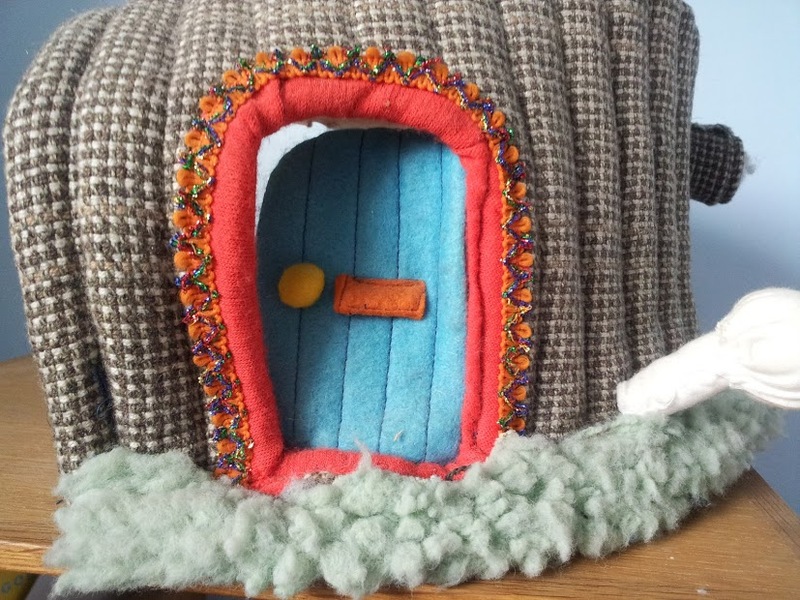 OOh really looking forward to seeing your unique mouse house creations Tracey- what a fantastic personal project…I still have all my mice – must be vintage or retro by now – perhaps one could pop over to holiday in your quirky cottage sometime! Will watch out for more mousey musings!